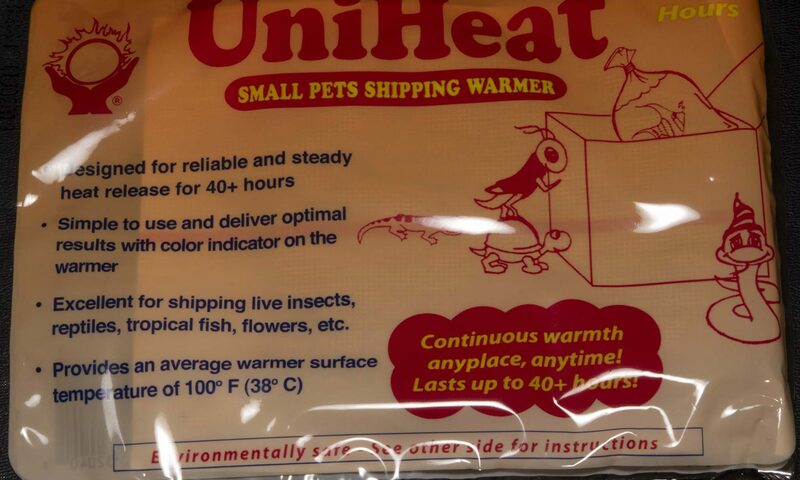 UniHeat Shipping Warmer is the same heat packs we use when shipping our leopard geckos. They come in 40-hour and 72-hour versions. Since we do FedEx Priority Overnight shipping, we mostly use the 40-hour heat packs. But if you anticipate to be out of power for more than a day or two, you should get the 72-hour version. They are very easy to use, simply open, shake them up, wrap them in a towel, and they’ll warm up in no time. Some people suggest they don’t work, but you have to remember to wrap them in a towel after shaking them. They will warm up better this way. If you just let it sit out in the open, they may not warm up properly. The UniHeat Shipping Warmer is designed to heat up to a temperature of around 115 degrees Fahrenheit for the first few hours, then it cools to an average surface temperature of 100 degrees after. It should remain this 100 degrees surface temperature for 40 and 72 hours respectively depending on the version you purchased. 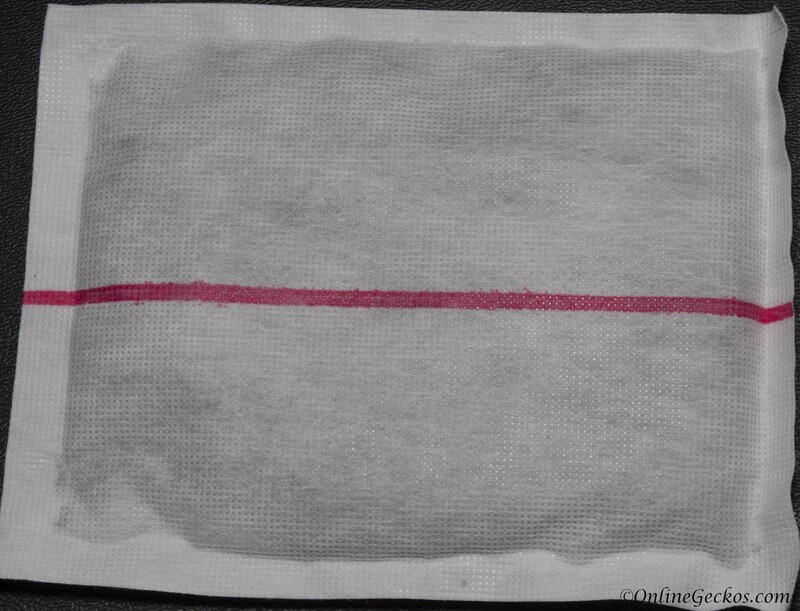 It’s important for you to remember these heat packs require air to function. 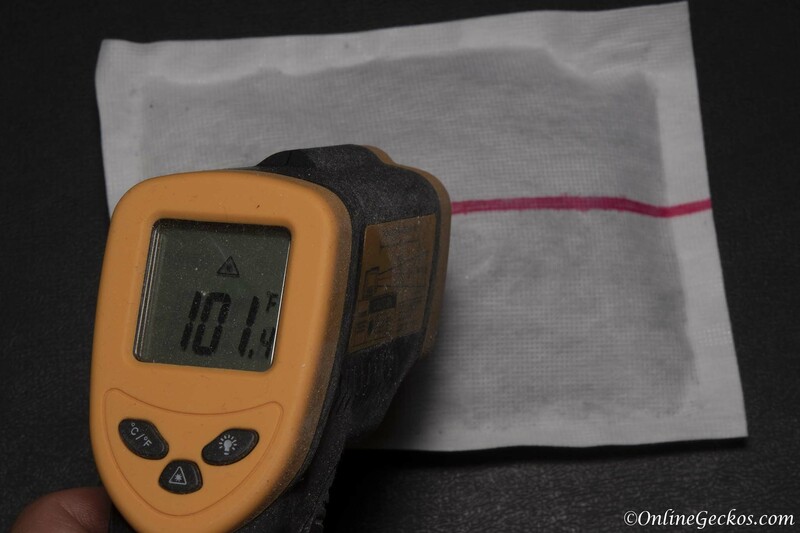 The red line on the heat packs are vents, you must not tape over them or cover the red line completely. 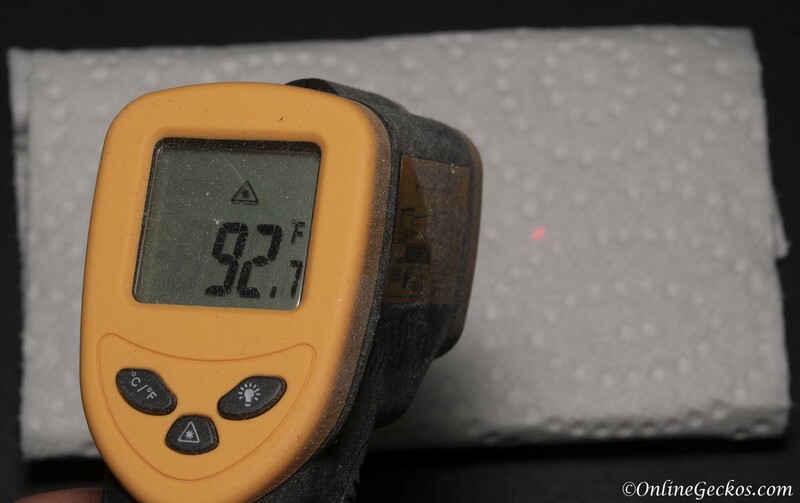 We used a temperature gun to test and see how hot these UniHeat Shipping Warmers get. By itself, the surface temperature is indeed about 100 degrees Fahrenheit. As you know leopard geckos require 89-93 degrees belly heat temperature in order to digest food. Since leopard geckos are coldblooded, the lack of a heat source will make them seem less active. Persistent cold environment will lower their immune system and they could get sick as a result. 100 degrees is too hot for your leopard gecko to lay on safely. You should always wrap the heat pack in a towel. This will lower the temperature to safe levels, and it’ll create sort of a heat rock effect for your gecko. After wrapping our heat pack in a towel, the temperature is tested out to be a perfect 92 degrees. If you need to evacuate due to possibility of flooding, please take your gecko pet with you (or any other pets you have). There’s no reason to leave your gecko pet behind when it’s so easy to create a nice warm environment with heat packs. Purchase a critter tote, you can easily take your leopard gecko pet wherever you go. 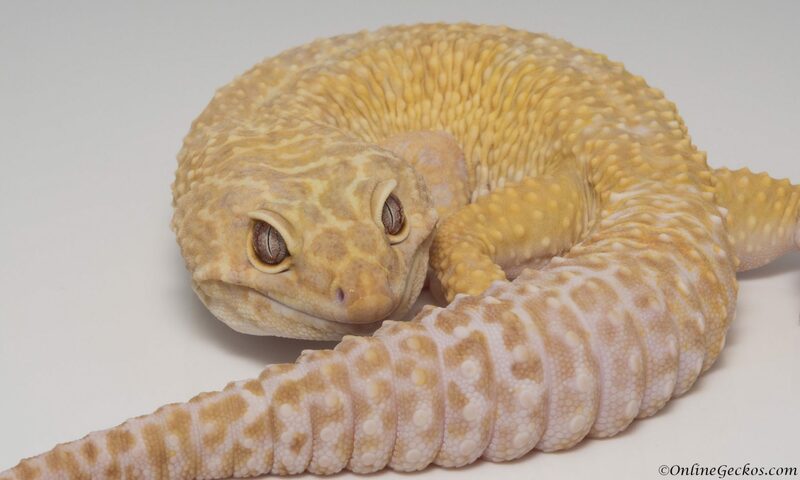 Leopard geckos can go weeks without eating, that’s what their tail fat is reserved for. So you don’t even need to worry about feeding your gecko pet. Having these handy warmer packs is enough to keep your gecko healthy in the meantime. Just please take them along with you if you need to evacuate, don’t leave them behind. Hand warmers you can buy from stores tend to be much hotter on the surface, and they don’t last as long. 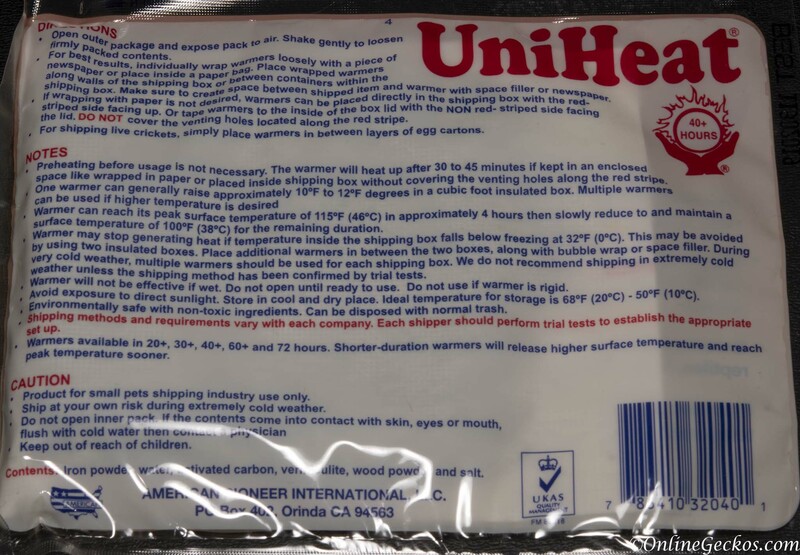 They are not as ideal for your gecko as UniHeat heat packs. But if you are doing last minute shopping, it’s better to have them than not. You will want to stock up on them, and be sure to wrap extra towels around them so they get to a comfortable 89-93 degrees surface temperature. Best wishes to everyone in the path of storms.